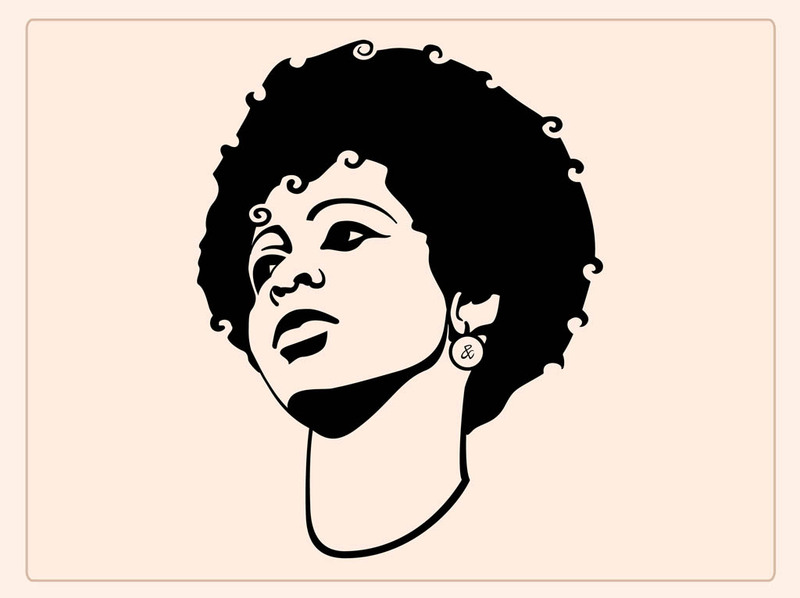 Vector portrait of a young woman with an Afro hairstyle. Big curly hair with a lot of volume and small swirling curls. Girl with serious expression and dark eye makeup. Free vector design for hairstyles, hairdos, fashion, style, hairdressers, makeup, beauty, fashion, trends and 80s hair designs. Tags: Curls, Curly, Fashion, Funky, Girl, Hairdo, Type4 Hair, Woman.